Do you recycle? Are you committed to lessening your impact on the environment? If so, you should be using online fax. This service makes it easier for you to save paper, and to send one less machine to a landfill. 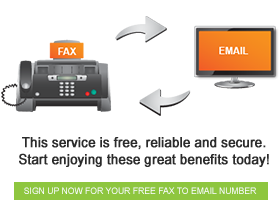 By using Fax FX’s online faxing service, you immediately use less paper, less ink, and less electricity. It’s an easy way to help the environment. Now we are all aware of the damage of the rainforest due to the felling of trees for paper, and this is one of the main reasons that Fax FX exists. Our approach to technology and nature means that we ensure our services are forest friendly. When sending faxes with us, you won’t make use of any paper or ink. In fact, you will use a minimal amount of electricity- much less than you would have used sending a fax via ancient old machine. Let’s not forget about those paper jams, and how many rolls of paper we ended up throwing away. Online faxing does not require any paper at all. If you need to access older documents, you do not need to worry about printing them. We store any and all documents that you send or receive so that you can view them at any time. This is incredibly handy. Don’t worry about printing documents- if you have internet and inbox access, then you can view your documents from all four corners of the earth. You won’t ever send a physical fax again once you have made use of our services.